This is not a day to be happy. But to remember happiness. 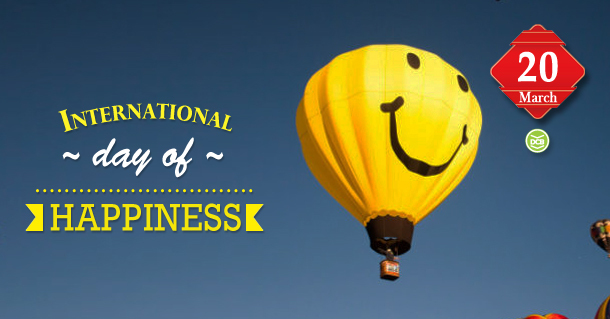 March 20th of every year is celebrated as International Day of happiness since 2012, by the United Nations General Assembly as proposed by Jayme Illien, United Nations special advisor. The most sought after state of mind, happiness is what humanity should stand for. Though we may seek for life long satisfaction, it is always those tiny moments of good cheer that brings in great joy. Even when the world chants to find happiness from within and around you, at times we seldom find it. Discovering what makes you happy and working for it is the foremost step in acquiring happiness. The theme of this year’s theme is ‘Happier Together’. It will also be celebrated with the central theme, “Share Happiness and be a part of Something Amazing”.